Laguna Beach hotels and resorts vary drastically in amenities, elegance, and rates- so whether you are planning on indulging in the luxury of a 5 star hotel or traveling on a budget, you can find the perfect hotel right here! Accomodations range from extremely upscale all the way through mid-range and economy. Get the Best Hotel Rates possible! Check our rates! With our system you can simultaneously search ALL of the major reservation sites and know your rates (for your desired dates) without having to login or call! Don't believe other sites that state they have exclusive special rates! Search our comprehensive database of all rates, all dates, and all rooms and then compare! You'll find out that other sites that offer empty promises of special rates simply don't compare! 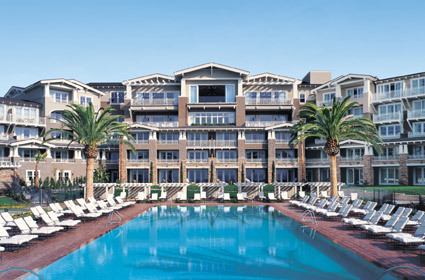 You will not be disappointed when you arrive at any of the luxurious Laguna Beach hotels or resorts along the coast. Each of these resort locations cater to your every need, provide amazing restaurants, and have spa and fitness facilities on property. One of the most popular and luxurious resorts in town is the Montage Resort! If you enjoy elegance and 5-star service, this amazing seaside resort set on the bluffs overlooking Treasure Island Beach is the place for you! If you prefer to be located right on the beach, this oceanfront luxury resort in Laguna Beach is another fabulous place for a romantic spa getaway! Submit Your Hotel Suggestion, Story or Review! If you are looking to stay in a nice place that isn't going to cost you a fortune, there are a wide-variety of mid-range Laguna Beach hotels to choose from! economy prices for us working people! You don't have to spend a fortune to stay in a decent hotel in Laguna Beach. 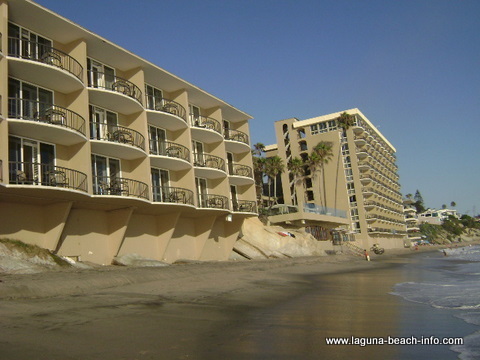 There is a great selection of cheap Laguna Beach hotels that are both affordable and in great locations! Laguna Beach is an incredibly dog-friendly town. You'll find several pet-friendly Laguna Beach hotels. 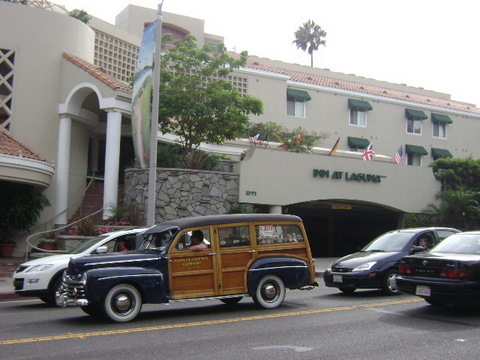 This historic mission style hotel is one of the most pet-friendly hotels in Laguna Beach. Recently Casa Laguna even began offering dog massages at its spa. In addition, they provide a pet friendly kit upon check-in with your dog or small kit. Pet fees are $25 per night. Share YOUR Laguna Beach Hotel Suggestion or Review! Do you have a great experience at any of these Laguna Beach Hotels? Share your reviews of Laguna Beach hotels and resorts! Or make suggestions for visitors regarding their Laguna Beach vacation here! Enter the Title of YOUR Hotel Review or Suggestion! Uploading pictures is easy! Just click on the Browse button, search your computer, and double-click the photo that you'd like to upload! Laguna Beach hotels, resorts, motels, and inns are frequently making the news with events, new additions, etc. Return from Laguna Beach Hotels to the Laguna Beach Info Home Page.